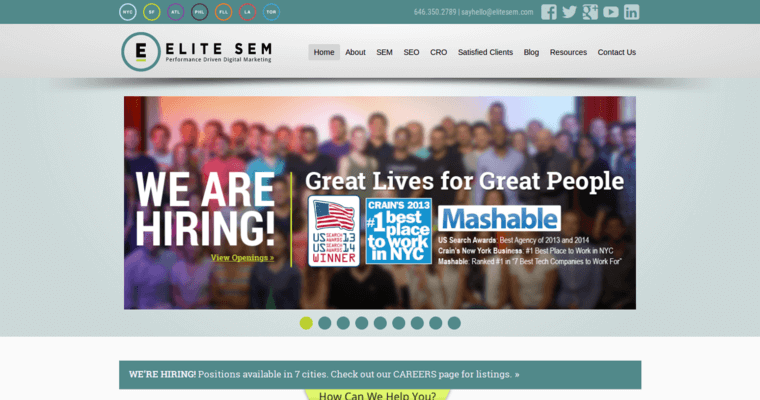 Elite SEM has reached the top of the online marketing industry by providing innovative technical and creative services with a personal touch. Rather than treating every client the same way, the professionals at Elite SEM get to know each business that they serve. Such personalized attention results in custom solutions that generate exceptional results. 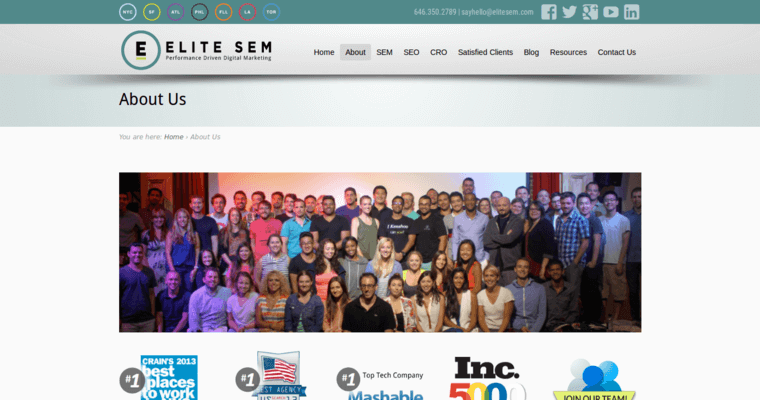 Although Elite SEM is being honored for its overall performance, the agency is receiving an award for excellence in the field of search engine optimization. The system developed by Elite SEM begins with research. By identifying their clients' competitors and ideal customers, Elite SEM is able to select the most profitable keywords and queries. 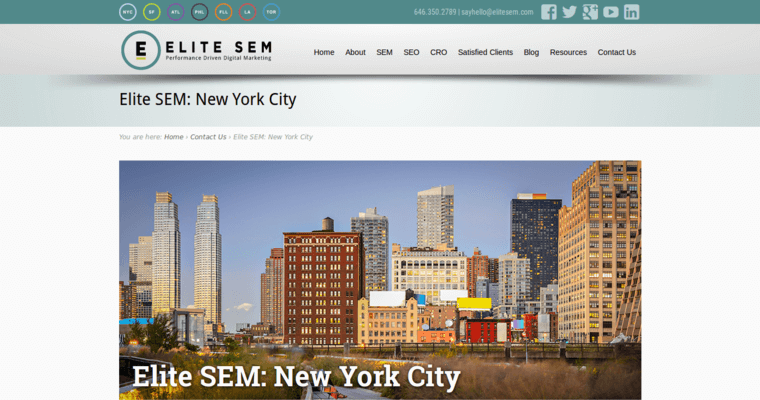 Also, based on the firm's insider experience with the search engine industry, Elite SEM can create SEO campaigns that withstand changes. In addition to SEO, Elite SEM provides a full range of search engine marketing services that includes PPC management.